Chef Pradeep Rao of Prego was very forthcoming on why the festival was being organized. 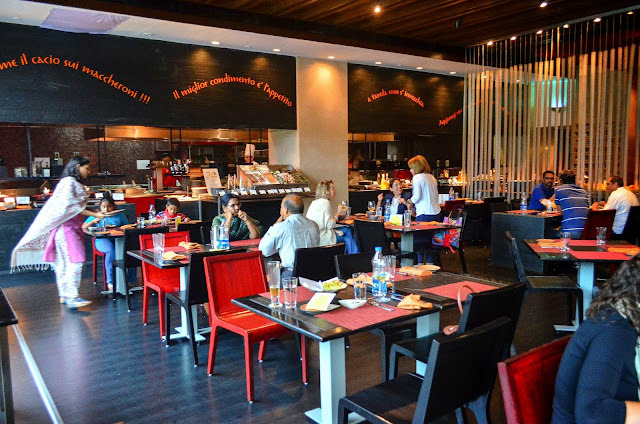 The idea is to present the huge number of loyal customers of the restaurant the finer nuances of Italian cuisine from different regions of the country. The Venice region has mountains, plains and coastal areas and even within the region there are differences in food habit. 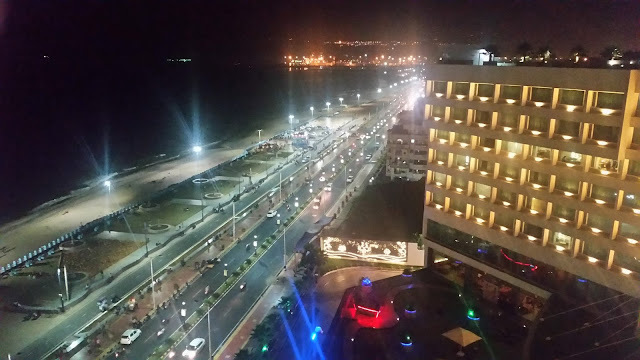 Whereas the coastal areas have more preferences for seafood, meat based dishes are more in vogue in the hilly areas of the region. Another uniqueness of the cuisine is the widespread use of Polenta, or coarsely ground corn. The Venetians love their Polenta and it finds its place in many dishes. The restaurant has worked out a set menu of around sixteen items. Though the cuisine is largely non-vegetarian, a few vegetarian dishes have been included to bring balance to the menu. Chef wanted us to try out a few select dishes from all the sections of the menu. In true Venetian tradition we started with seafood antipasties. 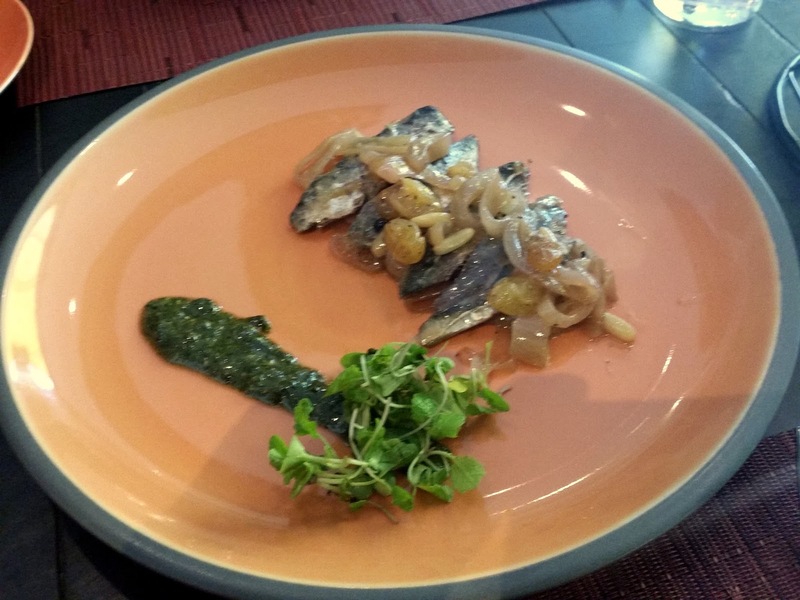 Sarde in Saor essentially were sardine fishes which were deboned, marinated and served with pickled onion. It was an ideal dish for a fish lover like me as it left a strong aftertaste of fish meat. I also liked the use of raisins in the dish. Chef Pradeep told us that normally this item is served without removing the bones, but keeping in mind convenience of the customers they are preparing a deboned version. 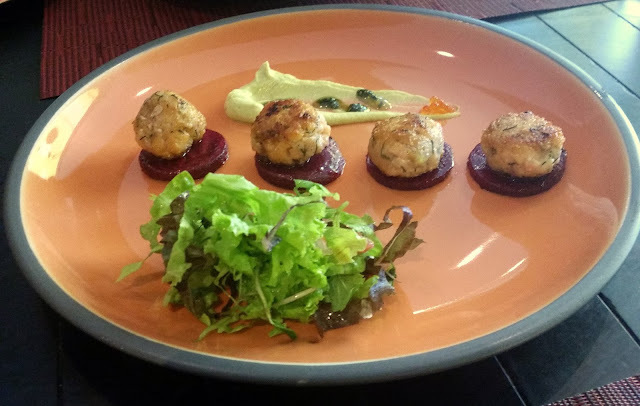 Salmoni Cotti Polpette or coin sized baked salmon fish balls were mounted on beetroot rounds and served with a little bit of avocado cream and caviar. The item was an absolute delight with a very subtle taste of the fish balls pairing well with the avocado cream. 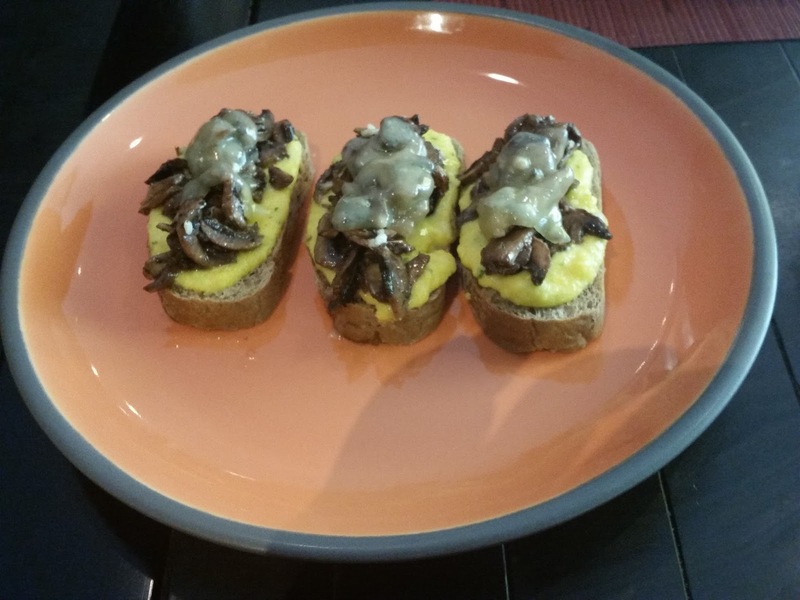 Cicetti, the Venetian finger food resembled a bruschetta with a nice and soft topping of mushrooms, polenta and fontina cheese. A plate of Squid Ink Risotto was served next. 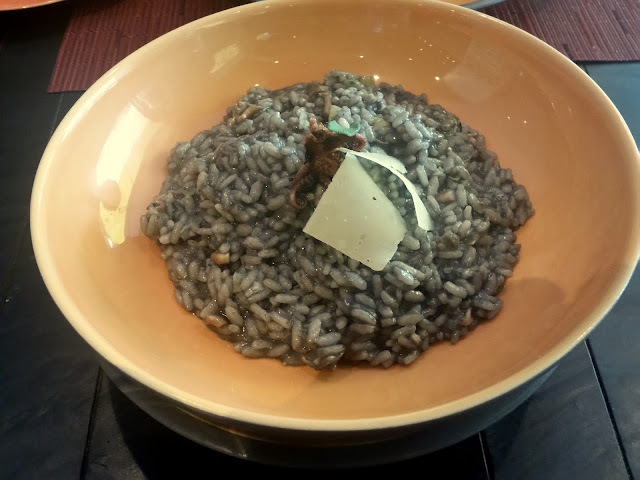 The risotto was dark coloured due to use of squid ink and had octopus meat in it. It also had a mild garlic flavor which I thought could be enhanced a bit. One of the winners for me was Oreichiette Aratra Confit Salvia. Oreichiette is pasta the shape of which resembles an ear. 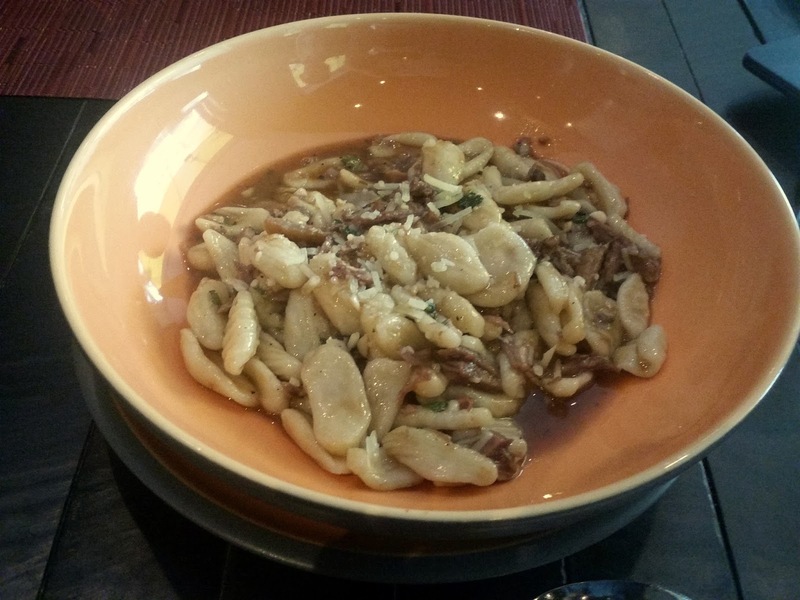 The pasta was a bit thick, and the duck confit sauce in which it was served was simply divine. More than the pasta I ended up polishing off all the sauce that was served. 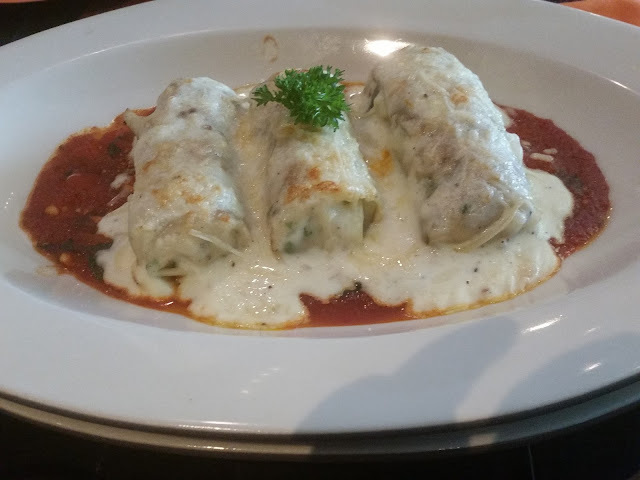 For vegetarians there was eggplants in manicotti (pasta rolls) covered with ricotta cheese and served on a bed of slow cooked tomatoes. Venetian palate seems to have some preference for ducks, as the Petto Di Anatra served as the main course was also a duck based delicacy. 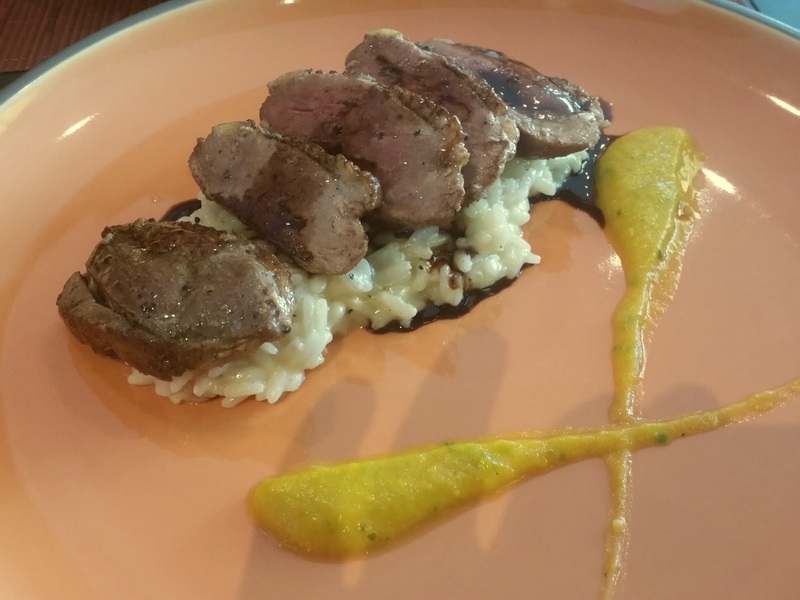 Sliced of honey glazed duck breast were served on a bed of flavourful risotto. The duck meat was perfectly cooked and again here I loved the sauce used for glazing. Gallina Ubriaca, which had chicken thighs in a delectable onion and mushroom sauce was the pick of the main courses. 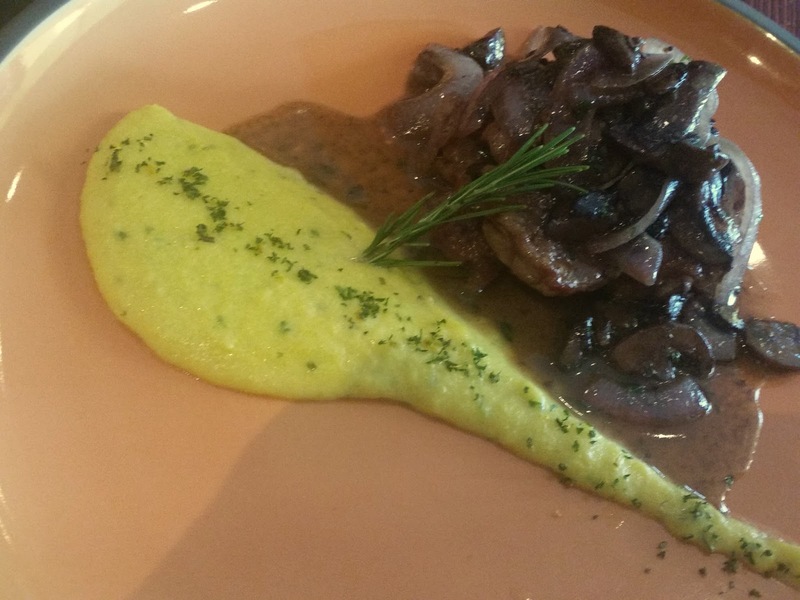 Chef Pradeep seems to have a knack of working miracles with sauces. In this case it tasted so well with the polenta as well as chicken that I wished this was the last dish, so that I could savour the aftertaste for long. 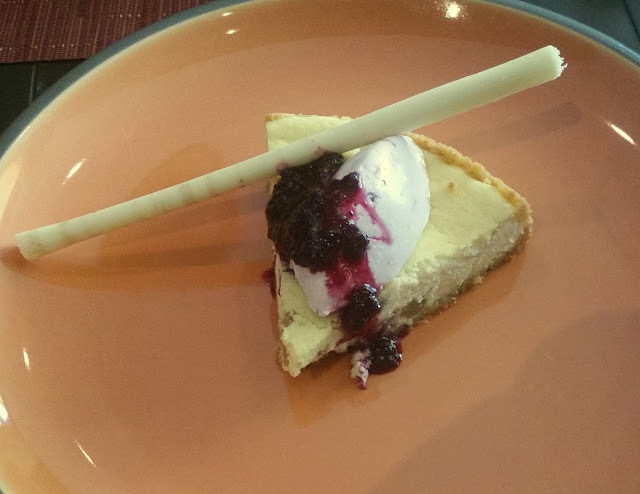 It was dessert time next. 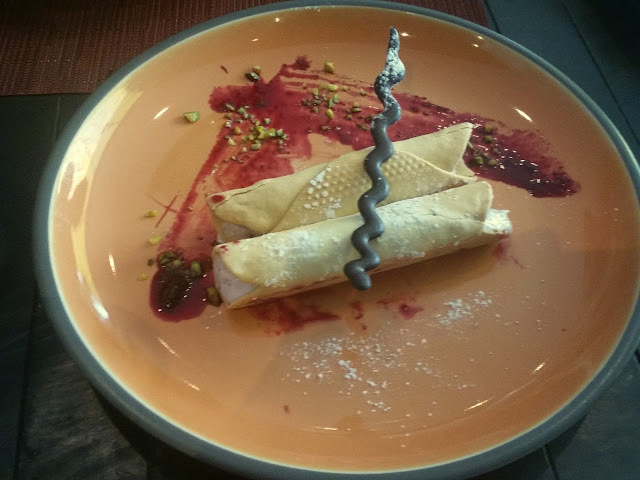 There was also Venetian Cannoli – cannoli shells filled with vanilla custard served on raspberry puree. The Ricotta and Raisin Torta or a cheesecake was delicious with the berry compote served with it. The festival is a very imaginative initiative to introduce Italian regional cuisine to the Hyderabadi palate. Food lovers who enjoy Italian food and are interested to delve deeper into it may find this special menu extremely interesting. The festival is from 4th to 13th September at Prego, for both lunch and dinner.